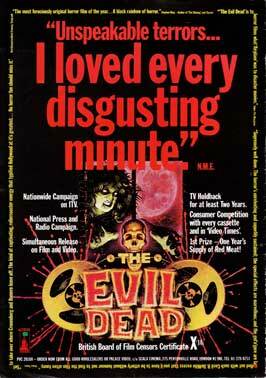 This special event marks thirty years since the rise of the video nasties. Following a rare cinema screening of The Evil Dead, a panel of special guests will discuss the horror classic’s impact and the video nasty phenomenon. The guests are the British Board of Film Classification’s Senior Examiner Craig Lapper, Empire Magazine’s Chris Hewitt and Ben Wheatley, director of the highly acclaimed 2011 film, Kill List. Held at the Duke of York's cinema. Editor's Note: Rob, from www.bookofthedead.ws, has checked with the event organizers and they will be screening a proper 35mm print of The Evil Dead, not a Blu-Ray digital projection.